Star One Public Relations is an established online communications and marketing agency committed to helping individuals, companies and brands reach the dizzy heights of their full potential. Light Space & Time Online Art Gallery announces its 6th Annual “Botanical & Floral” online juried art competition for the month of April 2016. Jupiter, FL, USA — Light Space & Time Online Art Gallery announces its 6th Annual “Botanical & Floral” online juried art competition for the month of April 2016. The gallery urges all 2D and 3D artists (Including Photography) to submit their best botanical and floral art. Light Space & Time Online Art Gallery encourages entries from artists regardless of where they reside and regardless of their experience or education in the art field to send the gallery their best interpretation of the theme “Botanical and Floral”. 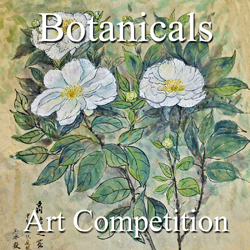 Artists should submit their best representational or non-representational art, which will include flowers, herbs, leaves and plants for this competition. A group exhibition of the top ten finalists will be held online at the Light Space & Time Online Art Gallery during the month of May 2016. In addition, Special Merit and Special Recognition categories will be awarded as well. The submission process and the deadline will end on April 26, 2016. Winners of the “Botanical & Floral” Art Exhibition will receive extensive worldwide publicity in the form of email marketing, 70+ press release announcements, event announcement posts, extensive social media marketing and distribution, in order to make the art world aware of the art exhibition and in particular, the artist’s accomplishments. In addition, artists shall also receive a digital Award Certificate, Event Postcard, Press Releases and “Leveraging Your Success” marketing materials if they place in this exhibition. Interested artists should provide to us with your best botanical and floral art now or before the deadline of April 26, 2016. Interested artists may apply online here: https://www.lightspacetime.com/newsletter/2016-annual-botanical-floral-art-online-art-competition. Light Space & Time Online Art Gallery conducts monthly art competitions and monthly art exhibitions for new and emerging artists. It is Light Space & Time’s intention to showcase this incredible talent in a series of monthly themed art competitions and art exhibitions by marketing and displaying the exceptional abilities of these worldwide artists. The art gallery website can be viewed here: http://www.lightspacetime.com. Light Space & Time Online Art Gallery is pleased to announce that its March 2016 art exhibition, the 7th Annual “Abstracts” Art Exhibition is now posted on their website and can be viewed online. Jupiter, FL, USA — Light Space & Time Online Art Gallery is pleased to announce that its March 2016 art exhibition, the 7th Annual “Abstracts” Art Exhibition is now posted on their website and can be viewed online. The theme for this art exhibition is abstracts and artists were asked to submit their best nonobjective or nonrepresentational art for this competition. An international competition was held in February 2016 which determined the art for this exhibition. The gallery received submissions from 29 different countries and also received entries from 41 different states. Overall, 1,073 entries were judged for this art competition. Congratulations to the artists who have been designated as this month’s category winners, along with the winning Special Merit and Special Recognition artists. The gallery commends all of the winning artists for their artistic skill and their creativity, as this online art exhibition is indicative of their creativity. To proceed to the galleries 7th Annual “Abstracts” online art exhibition follow this link: https://www.lightspacetime.com/abstracts-art-exhibition-march-2016. Each month Light Space & Time Online Art Gallery conducts themed online art competitions for 2D and 3D artists. All participating winners of each competition have their artwork exposed and promoted online through the online gallery and through social media to thousands of visitors each month. Light Space & Time Online Art Gallery announces its 6th Annual “Landscapes” online juried art competition for the month of March 2016. Jupiter, FL, USA — Light Space & Time Online Art Gallery announces its 6th Annual “Landscapes” online juried art competition for the month of March 2016. The gallery urges all 2D and 3D artists (Including Photography) to submit their best landscape art. Light Space & Time Online Art Gallery encourages entries from artists regardless of where they reside and regardless of their experience or education in the art field to send the gallery their best interpretation of the theme “Landscapes”. Landscape subjects would be the artist’s depiction of the natural world, outdoor scenery, geographical environments’, scenic vistas and related landscape subjects for this art competition. A group exhibition of the top ten finalists will be held online at the Light Space & Time Online Art Gallery during the month of April 2016. In addition, Special Merit and Special Recognition categories will be awarded as well. The submission process and the deadline will end on March 27, 2016. Winners of the “Landscapes” Art Exhibition will receive extensive worldwide publicity in the form of email marketing, 70+ press release announcements, event announcement posts, extensive social media marketing and distribution, in order to make the art world aware of the art exhibition and in particular, the artist’s accomplishments. In addition, artists shall also receive a digital Award Certificate, Event Postcard, Press Releases and “Leveraging Your Success” marketing materials if they place in this exhibition. Interested artists should provide to us with your best landscape art now or before the deadline of March 27, 2016. Interested artists may apply online here: https://www.lightspacetime.com/newsletter/6th-annual-2016-landscapes-online-art-competition. Light Space & Time Online Art Gallery is pleased to announce that its December 2015 art exhibition is now posted on their website and is ready to be viewed online. Jupiter, FL, USA (December 5, 2015) — Light Space & Time Online Art Gallery is pleased to announce that its December 2015 art exhibition is now posted on their website and is ready to be viewed online. The theme for this art exhibition is “Animals” and artists were asked to apply to this competition by submitting their animal art. An art competition was held in November 2015 which determined and judged the art for this exhibition. The gallery received submissions from 22 different countries from around the world and they also received entries from 39 different states and the District of Columbia. Overall, there were 724 entries which were judged for this art competition. To proceed to the gallery’s 5th Annual “Animals” online art exhibition follow this link: https://www.lightspacetime.com/animals-art-exhibition-december-2015. Each month Light Space & Time Online Art Gallery conducts themed online art competitions for 2D artists. All participating winners of each competition have their artwork exposed and promoted online through the online gallery to thousands of visitors each month. If you know of a talented 2D artist who may benefit from the exposure and the publicity that the gallery can provide to them, please forward this press release to them. Light Space & Time Online Art Gallery conducts monthly themed art competitions and monthly art exhibitions for new and emerging artists on a worldwide basis. It is Light Space & Time’s intention to showcase this incredible international talent in a series of monthly themed art competitions and art exhibitions by marketing and displaying the exceptional abilities of these artists. The art gallery website can be viewed here: https://www.lightspacetime.com. Light Space & Time Online Art Gallery is very pleased to announce Kathy Blankley Roman’s month-long solo art exhibition on our site. Jupiter, FL, USA (November 16, 2015) — Light Space & Time Online Art Gallery is very pleased to announce Kathy Blankley Roman’s month-long solo art exhibition on our site. Kathy will be featured on the Light Space & Time website, in press releases and throughout the gallery’s social media networks. In addition, Kathy will be featured on our YouTube channel, in our event catalogue and on our event postcard. The “Solo Art Series” is a series of monthly solo art exhibitions for established artists who have a body of work to present to the public. Artist participants were asked to submit the following 3 components for the “Solo Art Series” competition; 1. Their art. 2. Their artist biography. 3. Their artist statement. The four winning artists were selected based on the merits of all three components of their presentations. To view her Light Space & Time gallery: https://www.lightspacetime.com/newsletter/kathy-blankley-roman-solo-art-series-3-artist. Light Space & Time Online Art Gallery is pleased to announce that its November 2015 art exhibition is now posted on their website and is ready to be viewed online. Jupiter, FL, USA (November 3, 2015) — Light Space & Time Online Art Gallery is pleased to announce that its November 2015 art exhibition is now posted on their website and is ready to be viewed online. 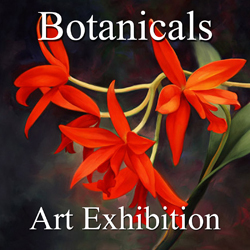 The theme for this art exhibition is “Botanicals” and artists were asked to apply to this competition by submitting their best botanical and floral art. An art competition was held in October 2015 which determined and judged the art for this exhibition. The gallery received submissions from 16 different countries from around the world and they also received entries from 33 different states and the District of Columbia. Overall, there were 487 entries which were judged for this art competition. To proceed to the gallery’s 5th Annual “Botanicals” online art exhibition follow this link: https://www.lightspacetime.com/botanicals-art-exhibition-november-2015. Light Space & Time Online Art Gallery announces their 5th Annual “Botanicals” Online Art Competition for the month of October 2015. Jupiter, FL, USA — Light Space & Time Online Art Gallery announces their 5th Annual “Botanicals” Online Art Competition for the month of October 2015. 2D and 3D artists (including photography) from around the world are called upon to make online submissions for possible inclusion into the Gallery’s November 2015 online group exhibition. The gallery encourages entries from artists, regardless of where they reside to apply to this competition by submitting their best Botanical and Floral art. Botanical art will include flowers, herbs, leaves and plants. A group exhibition of the top ten finalists will be held online at the Light Space & Time Online Art Gallery during the month of November 2015. Awards will be for 1st through 5th places. Also, 5 Honorable Mention places will be awarded. In addition, depending on the amount and the quality of the entries, Special Merit and Special Recognition awards will also be given as well. The submission process and the deadline will end on October 27, 2015. Winning artists of the “Botanicals” Art Exhibition will receive extensive worldwide publicity in the form of email marketing, 70+ press release announcements, 75+ event announcement posts, extensive social media marketing and distribution, in order to make the art world aware of the art exhibition and in particular, the artist’s accomplishments. In addition, artists shall also receive a digital Award Certificate, Award Ribbon, Event Postcard, Event Catalogue, Press Releases and “Leveraging Your Success” marketing materials if they place in this exhibition. Interested artists should provide the gallery with your best Botanical and Floral art now or before the October 27, 2015 deadline. For more information and instruction on how to apply online, here is the link http://www.lightspacetime.com. Light Space & Time Online Art Gallery conducts monthly themed art competitions and monthly art exhibitions for new and emerging artists on a worldwide basis. It is Light Space & Time’s intention to showcase this incredible talent in a series of monthly themed art competitions and art exhibitions by marketing and displaying the exceptional abilities of these worldwide artists. The art gallery website can be viewed here: http://www.lightspacetime.com.